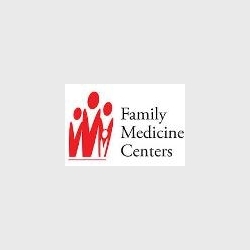 Bfit is an outpatient therapy clinic that offers physical, occupational, and speech therapy services to patients of all ages with a physician referral. 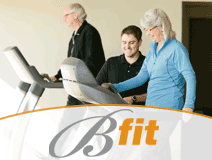 The therapists at Bfit are highly trained in orthopedic rehab, geriatrics, Parkinson’s rehab, and vestibular rehab. Jentry Williams, PT, DPT, is certified in LSVT BIG for Parkinson’s Rehab and Vestibular Rehab through The American Institute of Balance. Physical therapy can help enhance mobility and a person’s quality of life by improving strength, balance, endurance, flexibility, and posture. Occupational therapy focuses on the ability to fulfill the activities of daily living such as getting dressed, toileting, bathing, cooking and recreational activities. Speech therapy can help address the declines associated with various neurological difficulties, age-related illness, deterioration of the swallowing mechanism, and when a person has trouble speaking or articulating words. Bfit also offers a gym membership for people age 55 and up. After the age of 50, adults lose muscle mass that results in decreased strength, balance, endurance, and flexibility. The National Institute of Health (NIH) report that even moderate exercise and physical activity can help prevent or delay many diseases and disabilities, including dementia and osteoporosis. So, Bfit with a healthier heart, stronger bones, and improved strength and flexibility. The Bfit clinic has 3,000 square feet of therapy space consisting of a large gym and two private treatment rooms. Each treatment space is arranged with equipment to offer a wide variety of treatment services.